The deadline for comments is April 28, 2019 (next Sunday). To make it easy, here is a link to the Seattle ACS website, which has links to other responses and information about how to file a comment. Click on the topic below to jump to the full post. New! A link has been added to the sidebar for the PSRG Digital Dashboard. New! Check out the link in the sidebar to subscribe to the PSRG Home Page. A subscription will inform you by email whenever this page is updated. The next PSRG Board meeting is Saturday June 8. Details below. The next PSRG educational meeting is Saturday May 11 . Details below. Upcoming Events: Here are a few of the upcoming events in our ham community. More details will be published as they become available. 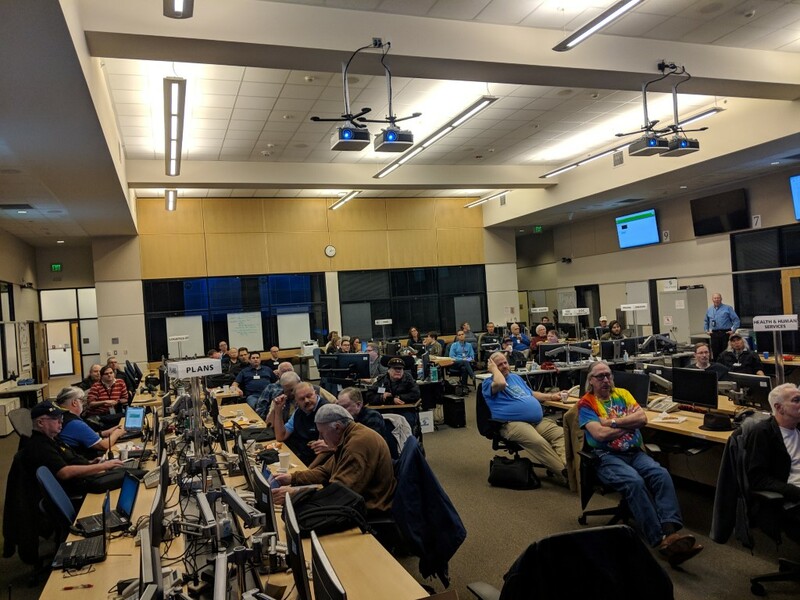 The 1st Annual DMR Gathering is being planned for Valley Camp (in North Bend, WA) the weekend of May 18/19, 2019. Field Day, June 22-23, Location TBD (likely a West Seattle location). The 1st Annual DMR Gathering is being planned for Valley Camp (in North Bend, WA) the weekend of May 18/19, 2019. This will bring together DMR repeater operators and users to share experience and learning about this technology. This is being run in a similar fashion to the APRS Summer Gathering that has been held in the same location for many years. More information is available at the links below and the is a link to the Signup Genius if you are interested in attending. The next PSRG Educational Meeting is Saturday May 11. As usual it will be held at the Salmon Bay Cafe in Ballard and starts at 1:30 PM. At the March 16 mini board meeting, we had a discussion of possibly merging the annual picnic with Field Day and expanding the activities. This was a preliminary discussion and may be discussed in more detail at the May Educational Meeting. 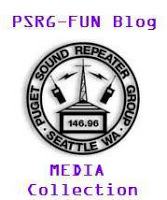 The next PSRG educational meeting is Saturday March 16th (1 week delay due to the Mike & Key Swap Meet). As usual it will be held at the Salmon Bay Cafe in Ballard and starts at 1:30 PM. Due to the February 9th board meeting that was canceled there will be a mini-board meeting first to conduct a few items of business. Then it’s HANDS ON WITH DMR. Come and see DMR up-close with a quick review of what it is and then see it in action with live QSO’s. Local talk groups, world-wide contacts and time slots explained. Have a DMR radio and need help with a code plug? We’ll have some great help available to load your radio with suggested talk groups and contacts. Already up to speed with a radio that’s programmed? Head to the back tables for a round-robin discussion of tips & tricks to expand your knowledge. And be sure to see the DMR page on the PSRG website, too as there are additional items to familiarize yourself with. The PSRG Annual Meeting was a great success! It was well attended and we had a very interesting talk by Bob Stephens AF9W. Theresa McLaird K7AII reported in the Treasurer’s Report that PSRG is financially healthy. President Doug Kingston reported on the two major projects accomplished during the last year–the Voter system and the DMR repeater. Tim Helming WT1IM and Bill Thomassen W6NBN were unanimously reelected to their respective positions, and vacant position #3 was filled. The meeting wound up with a great program on “An Introduction to DMR” by Bob Stephens AF9W. Update: Copies of his slides are now available at the link above.